Thank you for visiting my website! I’m honored you’re here. I’m an Associate Professor at the Johns Hopkins Carey Business School. I study three ways that people commonly jeopardize their careers: by acting unethically, negotiating ineffectively, and sleeping insufficiently. Instead of focusing on self-defeating choices themselves, however, I focus on simple, theoretically-motivated measures that individuals can take to act more ethically, negotiate more effectively, and sleep longer or better. I teach a variety of negotiation and organizational behavior courses. 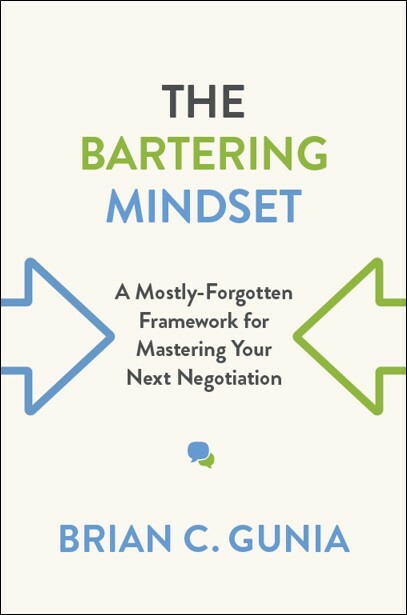 My book, The Bartering Mindset (University of Toronto Press), is available for pre-ordering now, and will be released in March 2019. If you would like to find out more about me or my work, please use the links above. You can reach me at brian.gunia@jhu.edu.